Cloud investment is about more than saving money. It's about introducing a number of business and consumer opportunities to your business. Adobe, the maker of the creative software suite, saw a three-fold increase in stock value after introducing its cloud-based subscription business model. Heineken was able to reach 10.5 million customers on a global scale swiftly using cloud services. Salesforce, Amazon, Microsoft, even Google — every IT behemoth you can think of, now lives on the cloud. Reports say that the public cloud platform will size up to $178 billion in 2018. Cloud engineering has become the mainstream technology that is propelling digital enterprises to their next level of performance. It is common knowledge that cloud engineering brings several benefits to businesses, the primary one being cost savings. If you think again, cost savings is not the sole benefit that cloud engineering delivers. There are numerous other untold, or rather hidden, benefits of cloud engineering that we tend to overlook. This blog attempts to take you through a broad overview of such hidden benefits of cloud engineering. Cloud is one among the core components that enable enterprises to achieve Digital Transformation. 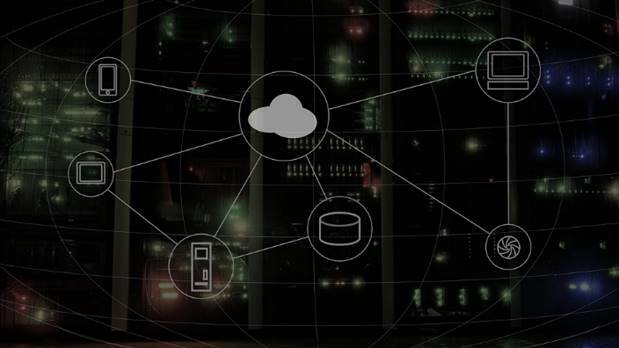 When combined with the other core components like Social, Mobile, and Analytics, Cloud has the potential to help enterprises become digital natives in a short span of time. Think, Airbnb, UBER, Dominos, Wal-Mart, and several other companies that have sped up their digital transformation with the help of cloud technologies. Software as a Service (SaaS), Infrastructure as a Service (IaaS), Platform as a Service (PaaS), are some of the models that these companies have explored to achieve Digital Transformation. Customers of the smartphone era use multiple devices to find and consume products and services. If you take e-commerce as an example, an average customer discovers a product on a device and in most cases ends up buying the product using another device. They shift across mobile and hybrid devices to discover research and finally purchase a product. When your customers are so digitally perceptive, you need an equally powerful IT infrastructure that can cater to their omni-device experiences. Cloud offers the perfect solution for that. What is seen and stored on a smartphone can be accessed using a laptop or a tablet. The Google suite of tools consisting of Google Docs, Drive, Sheets, Slides, etc., all fall under this category. Enterprises of today have a globe-spanning business presence. Apart from servicing clients located on multiple continents, they also have a scattered workforce. Such workforces require a unified communication and collaboration platform that drives their productivity. Cloud has the perfect answer for that. The cloud has given birth to a range of communication, collaboration and instant messaging solutions that facilitates business agility. With cloud connectivity, a business headquartered in California can steer a team in Singapore to reach business goals. Cloud gives the term cross-border collaboration a completely new meaning. Modern-day applications work on a real-time basis. Be it the humble GPS that shows your current location to cab-hailing mobile apps that show how far your driver is located, all these applications work on an instant basis. Cloud is the power that is propelling such real-time responses. Cloud servers help bridge an instant connection between two users who could be miles away from each other. The biggest benefit of the cloud and the one that draws enterprises towards it is the economy of scale. It is possible to deploy cloud applications in large numbers, across a region with fewer and cheaper machines. In addition, the cloud does not demand that each system connected to cloud servers should be manned by an individual. This translates into fewer resource requirements. Cloud and its hybrid forms enable businesses to bring their digital products and services in quick time to target markets. The standardization of technology across the cloud ecosystem makes it possible to eliminate errors that crop up during large-scale application implementation. In addition, the hybrid cloud that brings the best of on-premises and cloud storage gives businesses the flexibility to upscale or downscale their resources without locking in capital expenditure. For instance, the cloud server capacity can be increased or decreased in proportion to fluctuations in traffic. The cloud throws open the doors of opportunities for businesses. It helps businesses create new business models that can quickly be deployed and easily managed with minimal resources. It is also hailed as one of the core components that makes digital transformation possible for enterprises. It is wise to know that cost-savings are not the only benefit that the cloud brings to enterprises. It also delivers high on business agility, quicker time to market, seamless customer experience and much more. In other words, the cloud is no longer a possible upgrade option, but a necessary business vantage for digital-age corporations.